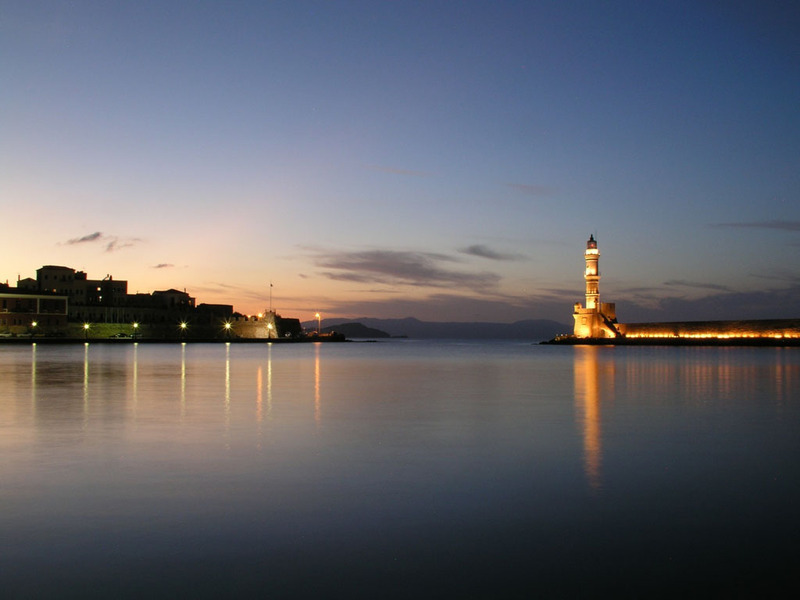 Chania is a resort that suits people of all ages and groups, looking for a relaxing, suburban holiday. Transfer times to the accommodations vary, however they tend to be low as the airport is located in Chania. There are a number of beaches in Chania, covered in golden sands leading down to the waters edge. The beaches are brilliant for sunbathing and many of the hotels and apartments blocks have the sunbeds and parasols. The beaches are easily accessible by walking or the coastal bus service. Some of the hotels also offer the water sports for the beach. There is a good choice of hotels and self-catering apartments in the resort. Most of the accommodation offers 2-4-stars and the hotels generally offer half-board and all-inclusive. Chania is a brilliant resort to explore with a number of naval and archaeological museum. These give you a great insight into the history of Crete and give you a good day out. The mosques, Greek Orthodox churches and Venetian ramparts are also hugely popular. The public gardens are very peaceful and are a lovely setting for evening walks. Walks along the harbour to the lighthouse have also proved popular. If you prefer something different then head to the beach for some of the water sports such as windsurfing, sailing and water-skiing. Pedalloes can also be hired. Other options in the resort include tennis, hiking, cycling and even a water park. There are also a number of excursions for you to enjoy such as trips to tombs, monasteries, the ancient Minoan palace of Knossos, Heraklion archaeological museum and trips to other resorts in Crete and other neighbouring islands. Chania offers some brilliant restaurants offering traditional Greek cuisines and seafood. You will also find a number of other restaurants such as British or Chinese. There are a number of hotel-based restaurants which have proved to be very popular. The liveliest area in Chania is the harbour with discos, bars and live music in both bars and restaurants. There are also a couple of cinemas and an open-air theatre if you wanted something different. Shopping in the resort is fairly good with a number of mini markets, supermarkets, souvenir shops, clothing stores, jewellery shops, leather goods and shoe shops. There is a good local bus service in Chania that runs along the coast and takes you all over the resort. Some may take you into other resorts as well. Chania summer season lasts from April until October and it tends to be very hot and dry and then mild in the winter. However all year round, the weather is good making it an ideal holiday destination all year round. From the beginning of the summer in April, the temperatures are already around 18°C and there are around 8 hours of sunshine a day. Temperatures continue to rise throughout the summer with them peaking at around 27°C in August. By then, there are 13 hours of sunshine a day. There is a gentle coastal breeze that keeps the temperature at a manageable level. From September to October there are 9-11 hours of sunshine a day and temperatures still remain at around 20°C. The winter rainfall starts in December, however the wettest months are January and February. There is a minimum of 4 hours of sunshine a day in this period with temperatures dropping to around 12°C.